How Does Fitness Singles Work? How Much Does Fitness Singles Cost? With the variety of dating sites, you can find like-minded singles and meet people who share your thoughts and beliefs. Fitness Singles is one of such platforms. It gathers around athletic people who love spending free time actively. Check our Fitness Singles review to figure out how it works and what features it offers. Fitness Singles is the largest dating site created to bring active lifestyle fans around. Here you can easily come upon fitness enthusiasts, gym addicts, workout fanatics and those who enjoy sports activities. To start looking for your fitness date, you need to create your profile and fill out the personal info section. If you don’t want to provide some personal details, you can click Rather Not Say and not answer the question. You also need to outline what sports activities you really enjoy. Then you can start looking for dates and making a connection. Basic Search feature will show random users’ profiles. If you use Custom Search, the profiles will be selected according to your preferences. If you like someone, you can Show Interest. But if someone showed interest in you, you will be able to chat only if you subscribe. 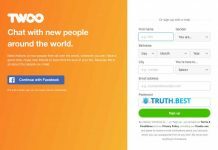 The subscription covers an unlimited exchange of messages. Upgrade to Premium Fitness Singles will cost you $39.99 a month. As Fitness Singles have no mobile app, premium users can register their mobile phones to get SMS when someone’s messaging them. How To Delete Fitness Singles Account? There is an option to hide your account on Fitness Singles. Once you hide your profile from your account settings, other members won’t be able to view your profile. But if you still want to delete your account on Fitness Singles, go to My Account and select Remove Profile. Fitness Singles unites the community of 2 million fans of a healthy lifestyle. Although the platform name suggests that only sports junkies should enter the community, Fitness Singles welcomes all the people who love outdoor activities. 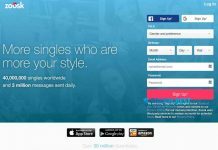 Fitness Singles is an excellent platform to find like-minded singles and continue with your healthy lifestyle together. The website accepts the members of any age and features simple sign-up process. 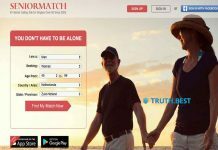 If you hesitate whether Fitness Singles is what you look for, note that this dating platform differs from all others – it unites the members by their common interest, which is an active lifestyle. That’s why someone who looks for casual dating won’t find it at Fitness Singles. 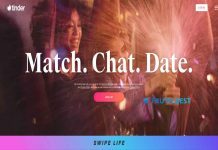 Next articleOnLuxy.com Reviews: Is It a Place to Find Love or Just Scam?